The Institute supports the development of neurology residents who would like to pursue a career in academic neurology. Research residents typically hold MD/PHD degrees, and joined the Neurology Residency program for Weill Cornell Medical College/New York-Presbyterian Hospital. Their clinical schedule allows for extended periods of research during which they can acquire preliminary results for grant submissions after the end of the residency. Research residents are selected from the Neurology residents applicant pool based on merit, accomplishments, and displayed interest in an academic career path. Kurt Y. Qing received the B.S. degree in biomedical engineering from Northwestern University, Evanston, IL, USA, in 2009. As an undergraduate, he developed a sleep apnea monitor that has won multiple honors within Northwestern, from the National Collegiate Inventors and Innovators Alliance, and from the Center for Integration of Medicine and Innovative Technology. Kurt then completed the combined M.D.–Ph.D. degree through the Medical Scientist Training Program at Indiana University School of Medicine, Indianapolis, IN, USA, (M.D. portion) and Purdue University, West Lafayette, IN, USA, (Ph.D. portion in biomedical engineering). His 2015 doctoral dissertation is titled “Optimizing the neural response to electrical stimulation and exploring new applications of neurostimulation”. His research interests include neurostimulation, biomedical instrumentation, and development of devices. 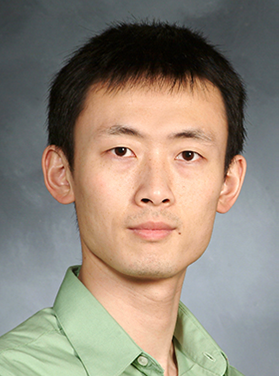 With a background in Neuroengineering, he is currently considering epilepsy and movement disorders as areas of focus for his research fellowship here at Weill Cornell Medicine.